What did you accomplish in the lab that you want to present in this paper? Highlight your work here and not someone else's accomplishments. After all, you are supposed to present your results in the paper! Compare the results with the literature data and discuss the differences briefly. All original spectra have to be attached to the report. They do not count towards the page count. What are the major results of your work? What did you learn out of this project? Make sure that you reference sources used for the paper. Overall, there should be about 12-15 reference. Many beyond that are cited in the reader. The references have to be research papers. Websites are not acceptable here. Do not attached the copies of the actual references here! The paper has to have a cover page with an appropriate title, font size 12 (Times Roman), double spaced, one column per page and printed single-sided. 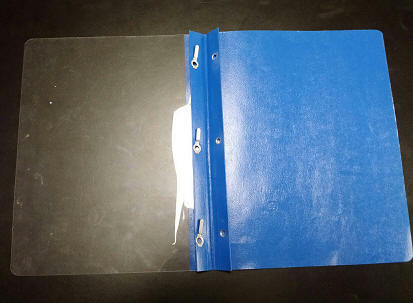 The report and has to be submitted in a report cover with metal clamp on the inside together with all original spectra. The paper is due in paper version by Friday, February 5, 2016 by 4:30 pm in YH 3077E. The report has to be submitted in a report cover (=this means that you need to invest into a report cover to submit the paper!). Failure to follow this rule, will lead to an automatic zero score for the paper. Email submissions will not be accepted either. Make sure that you do not lose your file by erasing iut accidently on the harddrive, flashdrive, etc. If you do not submit the paper on time, you will be penalized, and it does not matter why you did not submit it in a timely fashion. Papers that exceed 18 pages (not counting the spectra which are placed in the appendix) will not be accepted and receive an automatic zero score. And yes, the numbers above do not add up to 18 pages but give you an appropriate idea about the length of each part. Please submit your paper by Friday, February 5, 2016 by 5 pm to www.turnitin.com as well. The course ID is 11153249, and the password: Chem30CL (case sensitive and no spaces) for the Winter 2016. If you do not have an account already, you will have to set up one. Do not submit the paper under any other course IDs.